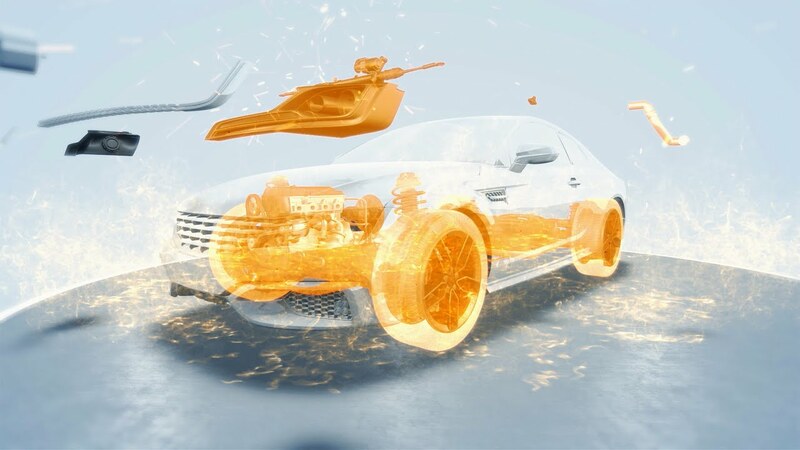 As a major part of the vehicle, the chassis provides a significant opportunity for manufacturers to make better, safer, lighter, and more cost-efficient cars. Our next-generation thermoplastics replace traditional metals, other plastics, and rubber, while our team of application experts takes the time to understand your unique challenges and needs. Whether it’s body plugs or major structural reinforcements to the chassis, we work side by side with OEM customers to develop customized solutions and lighter structural parts that change the face of the industry – no matter how complex and challenging the application field. It begins with a precise understanding of how our materials behave in each situation. We gain this understanding via extensive crash testing of parts made from our materials. Our ongoing testing has proven that our Akulon® polyamide 6 and Arnitel® TPC (TPE-E) materials demonstrate better structural and mechanical properties than competitive materials. Akulon® is a tough material with excellent stiffness, while Arnitel® is ideal for rubber replacement with its combination of strength and flexibility. Both materials provide an obvious benefit over metal – they don’t rust. Chassis and structural parts offer the opportunity to make dramatic design improvements, along with the financial and environmental benefits they bring. As OEMs continue to make vehicles lighter and more fuel efficient, we expect the plastic content of the average car to double from 12-14% today to 25% by 2020. What better place to reap the huge benefits of metal replacement than in the largest part of the vehicle?